Madrona Gallery is pleased to present this collection of early works from 1958 - 1969. This is a time of great importance in the development of Plaskett's Iconic style. 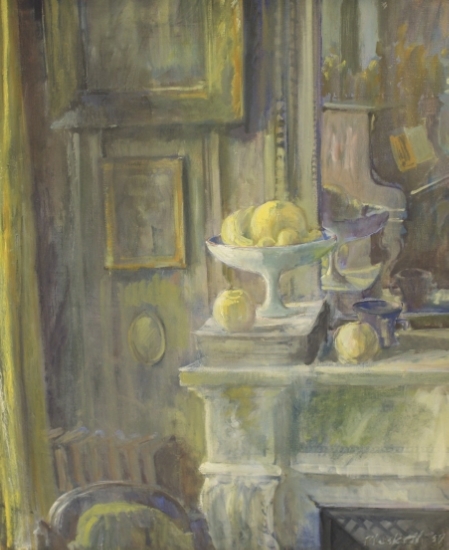 It was during this period that Plaskett was first based in his paris studio, of which is the birthplace of his unique and intimate perspective of interior scenes. Equally influential in his development is the extensive travel through the continent that gave the artists new experiences to draw from. Much of this travel is documented in the numerous pastel drawings that are featured in this exhibition. Locals such as Paris, Venice and the French countryside dominate although Canadian locales such as Harrington Harbor Quebec are also included.